Customer feedback allows you to make more informed business decisions by listening to the needs and opinions of your customers. You can learn a lot about how your product or service should look like. Without customer feedback, you are forced to guess if the changes you made were good or not. Analytics take time to show you the full picture while customer feedback can give you some quick input you can work with almost immediately. You get customer feedback mainly from your website. By embedding a survey for customers on one of your pages, e.g. thank you page after a purchase, you can learn some extra information about customers. For example, you can ask why they choose your company. Another way of gathering feedback is performing user tests. This is a bit more direct method as you not only ask for opinion but also watch how the customer uses your product/service. No matter which method you pick, you need to ask the right customer survey questions. You almost always want to gather some personal details like the name of the customer filling out the survey or their email address. This will allow you to contact the customer later on if they had particularly interesting answers or to ask for more details. You can also offer more options and, for example, offer a range of rates, ranging from 1 to 5 stars or ask the customer to grade you by picking a number from 1 to 10. 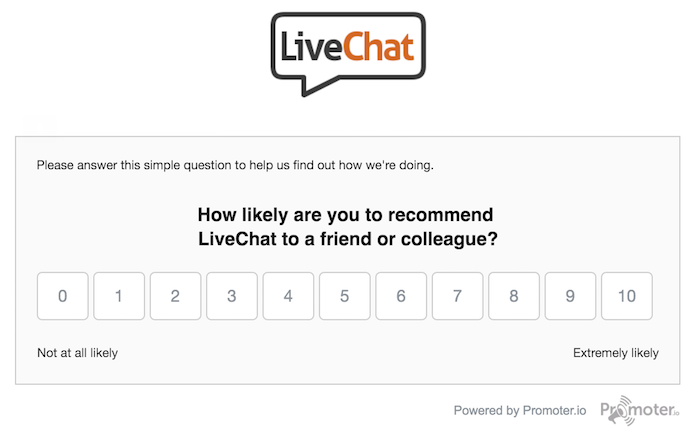 1) How likely are you to recommend our service to a friend or a colleague? 2) What is the reason for this score? By asking these two questions, businesses are able to tell how loyal a customer is and how likely they are to keep being a customer. People answering 0-6 are detractors, who will eventually leave. Customer who picked 7-8 are passives and will stay with your business for the time being. The 9 and 10 scores are promoters who will go out of their way to recommend your business. Gathering feedback is important for a couple of reasons. First off, you learn about all the cases where a customer is not satisfied with your business. This allows you to deal with the situation and turn customer complaints into compliments. However, the main reason why you want to gather customer feedback is to improve your product. For example, we rely heavily on gathering feedback for our software development. Want to learn more about gathering and using customer feedback? Check out the articles below for more insights for your business.